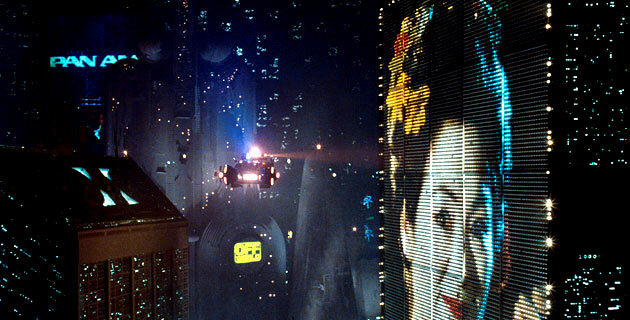 When we speak of Digital Cities, there is a tendency to imagine a futuristic Blade Runner-esque environment where cars hover at the height of skyscrapers and humans and cyborgs eat together at stalls in slums that sell cheap artificial food. It seems a very distant future, if not actually fictional, but throughout this module we come to understand that we are actually already there. With the advent of 3D printing, it is becoming increasingly possible to construct new body parts that mesh naturally with ours (Formosa, 2016), so the cyborg reality is not that far away. Both Volkswagen and Toyota have been working on prototypes for hover cars since 2012, and the existence of an all-seeing Orwellian entity in our society has already long been accepted – except that we are our own Big Brother, telling everyone everything all the time, whether through Facebook statuses or GPS data (Ferguson, 2016). But the concept of Digital Cities is not just about a grim dystopian high-tech future where we no longer control our own lives. It is about becoming increasingly aware of how we interact with mass media and how much information we complain is being ‘stolen’ is actually being spoon-fed by us to massive companies like Google and Facebook through the guise of social media and fun apps – such as Foursquare and Instagram. The digital lives that we lead are not necessarily bad, but these is still such a fascination when it comes to the ubiquitousness and ease of use of technology that we are increasingly less aware of our actions and their consequences not only as individuals, but as citizens, both digital and not. ‘Texting and driving’ was not a problem in 1970, and I’m quite sure Ballard or Huxley never mentioned the concept. The technological possibilities are there for our cities to become increasingly digital in a way that leads us into a better future, but it’s on us now, and how we use those technologies to our advantage. If we want our Digital Cities to be a utopian and not a dystopian reality, we need to realise that the ball is in our court now. The technology we need is everywhere and it is becoming increasingly easier to use. We just need to take a moment, think, and start using it consciously instead of taking another selfie or blindly checking in at our local kebab place. The city is lined with veins through which the livelihood of its citizens flows, networks and interacts. The streets, pavements and rails stream data and record the experience of locative existence enhanced by mobile technologies. 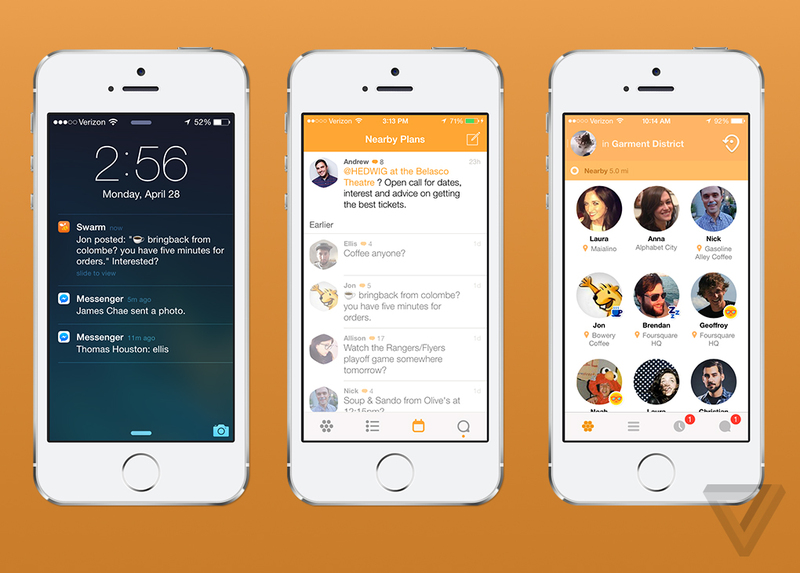 The social body is mobile in physical and cyber time and space as people are digitally connected to the Internet together. An immersive relationship between media and users allow for an altered feeling of presence as we “exist as an abstraction” (Miller, 2011) between a physical environment and a conceptual, interactional space. “Today, as lines between the Internet and the ocean begin to blur, one may lose the feeling of a body boundary at the borderlands of material and virtual worlds” (Sutula). Communication media acts as an extension of man, of his body and senses (McLuhan, 1967). 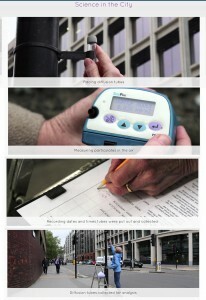 Technology begins to determine our human consciousness and corporality in the city. Haraway (1991) argues that cyborg is in our everyday interaction with, and dependence on, the multiple cybernetic technologies that make up our personal, social, economic, political and technological selves. People and their behavior are the data that flows through the city’s veins. 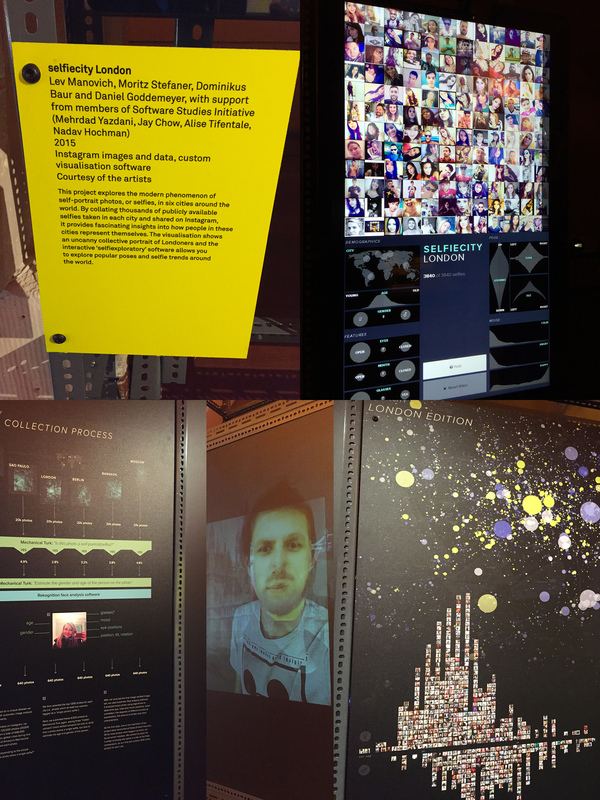 The Big Bang Data exhibition reflected a moment in time wherein our everyday embodied living in the city, our movement and attitudes, form a stream of data that translate mobile connectedness into art. “Many artists today are increasingly confronted by the temptation or necessity to engage with fields typically associated with science and engineering: broadly speaking, ‘technology’. One of the compelling features of Big Bang Data is the overcoming of this traditional division between art and science, recognizing instead the inescapability of networked culture” (Jordan and Pepi, 2016). 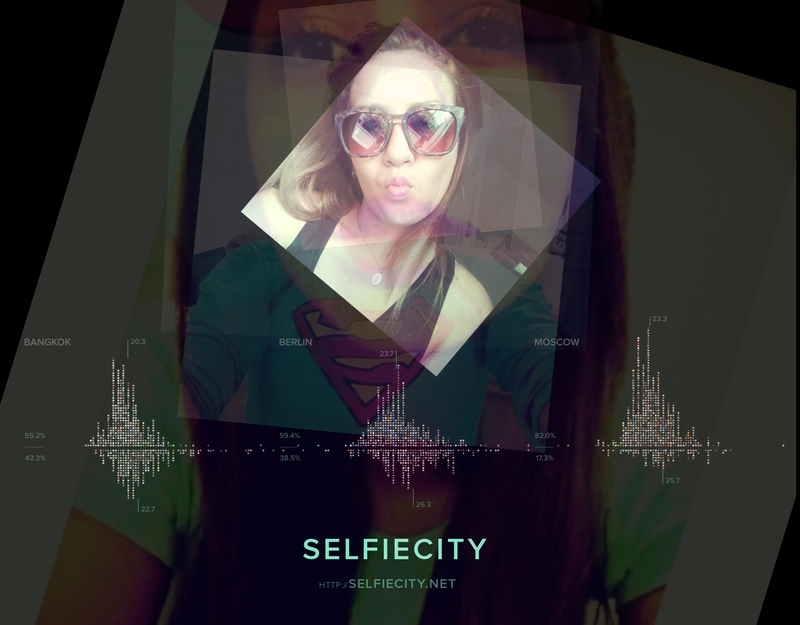 In Selfiecity, Lev Manovich investigates selfies using a mix of theoretic, artistic and quantitative methods. The selfie is explored, analysed and studied as a form of self-portraiture, part of the history of photography, as well as a development in human connectedness in the use of mobile technologies in the city. Data is visualised. 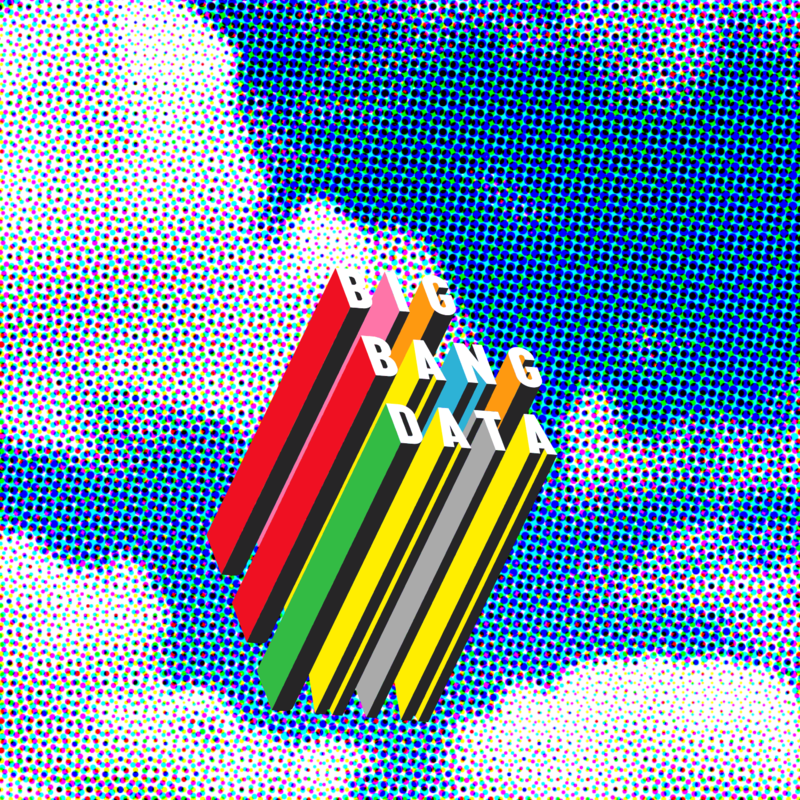 Big Bang Data Revisited [online] Available at: <http://dismagazine.com/discussion/73362/big-bang-data-curators-and-lev-manovich/> [Accessed 15 May 2016]. Haraway, D., 1991. A Cyborg Manifesto [pdf] Available at: <http://faculty. georgetown.edu/irvinem/theory/Haraway-CyborgManifesto-1.pdf> [Accessed 15 May 2016]. Manovich, L., Selfiecity: Investigating the style of self-portraits (selfies) in five cities around the world [online] Available at: <http://selfiecity.net/> [Accessed 15 May 2016]. McLuhan, M., 1967. Understanding Media: The Extensions of Man. London: Sphere Books. Miller, V., 2011. Key Elements of Digital Media. [pdf] Available at: <https://studentcentral.brighton.ac.uk/bbcswebdav/pid-2598024-dt-content-rid-4845442_1/courses/LM130_2015/Miller_2011_Key_Elements_of_Digital_Media.pdf> [Accessed 17 February 2016]. 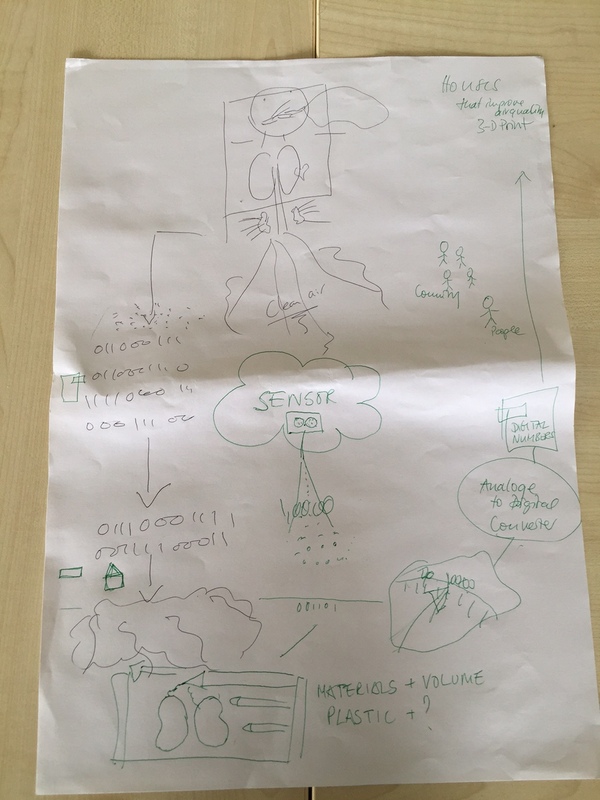 It is this exploration of the collective input we have in the future of our cities that became a prominent area of interest for me during this module. From the areas that were explored, what seemed apparent (and a surprise to me), was the role that nature had to play within this, the lovely utopian ideal of bringing together nature and technology to construct our cities of the future. I went back to the first blog I wrote about the insect like drones flying silently around our cities, data imaging them. For me what was interesting was that this again demonstrated how we are developing and replicating nature in order to design the most effective drones for the future. This new dragonfly drone could be seen as a positive symbol of what is to come, an idea of us successfully bringing together nature and technology to create the digital cities of the future. The Man Who Prints Houses. (2011). Directed by Jack Wake-Walker & Marc Webb. [Film Trailer]. Available at: https://vimeo.com/29984723 [accessed 8 May 2016]. New media and social media are developing so fast. Today, there is an APP for every need and they appear like mushrooms in autumn before you can even think about their utility. For instance, the online connection provided by the Invisalign APP is something useful but not necessary. It is a marketing strategy. Receiving feedback on your moving teeth may be useful if it comes from some expert of the field, otherwise where is the point? Our narcissism and will to appear is really of this proportion? We are starting to rely too much on technology. Again from the Big Bang Data Exhibition, the selfie notion is getting too far. The quantity of selfies uploaded everyday through all social media is uncountable and it is evident in the installation selfiecity London from Lev Manovich and Moritz Stefaner. Could we represent a city by using these data? Surely, cities are the places where these transformations happen. 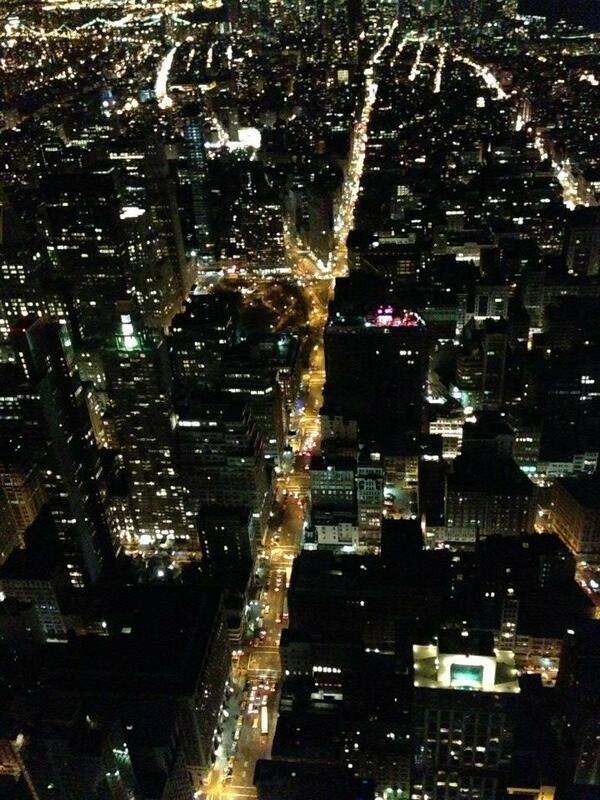 “Cities are where the majority of human activities has always been” (Neal, 2013, p.1). In this century the human activities run around new technologies. 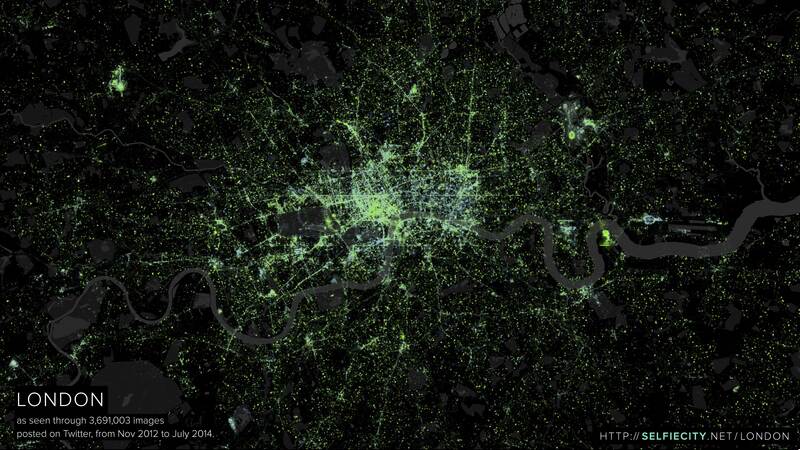 Mobile devices rule cities more than ever. Therefore, the question of accessibility is a constant unresolved issue. Having access is having power, being able to access it, is the new knowledge. In fact the thin line between what is legal and what is illegal in hackering data, in the access to open data and in data knowledge are only starting points. Cooperation between citizens in a larger or smaller scale may help comprehend data. Platforms like Open4Citizens wishes to move forward by legging people collaborate together in the data controlling with a ‘bottom-up approach’ that responds to their needs (Hemment, D. & Townsend, A., 2013, pp.1-3). Nowadays cities are always alive and awake; is no longer only New York the city that never sleeps but any city because social media had democratized this statement. Hemment, D. & Townsend, A. Ed. (2013) Smart Citizens, pp1-3. Future Everything Publications. Available at: http://futureeverything.org/ideas/smart-citizens-publication/ [accessed 12 May 2016]. Open4Citizens (2016). Available at: http://open4citizens.eu/ [accessed 12 May 2016]. Big Bang Data Exhibition in Somerset House, London [online] Available at: <http://bigbangdata.somersethouse.org.uk/> [Accessed February 2016]. Invisalign UK. Available at: www.invisalign.co.uk [Accessed 9 May 2016]. “The city is its people” (Hill, in Hemment & Townsend, 2013, p.88). But without the engagement of the people, citizens are in danger of becoming simply consumers of technology implemented by governments and corporations – building on and consolidating existing power structures following a neo-liberal ideology. In 2007 the world’s population changed from rural to urban; the majority of people are now living in cities and this is a trend that is set to continue (Elliot, A. & Urry, J. 2010, p138). Alongside this are the extraordinary developments in technology – unimaginable a few decades ago – and the majority of the world’s citizens live not just in a city, but a digital city. While this growing urban population raises issues of sustainability, it could be that the solution is just waiting to be discovered within these digital cities. 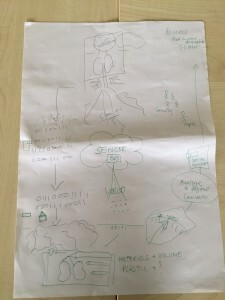 In the concluding chapter of Mobile Lives most of the possible outcomes for the future of the city are bleak, however, a more optimistic outlook develops around smart technology, using sensors and monitoring (although this raises privacy questions) to facilitate low-carbon, sustainable lifestyles. (Elliot, A & Urry, J 2010, Pg 147-48). And 3D printing, while at first seeming only to allow for the creation of more stuff, actually offers the opportunity for greater sustainability – there is a reason why designers and manufacturers are sharing the same anxieties as the entertainment industry a decade ago. 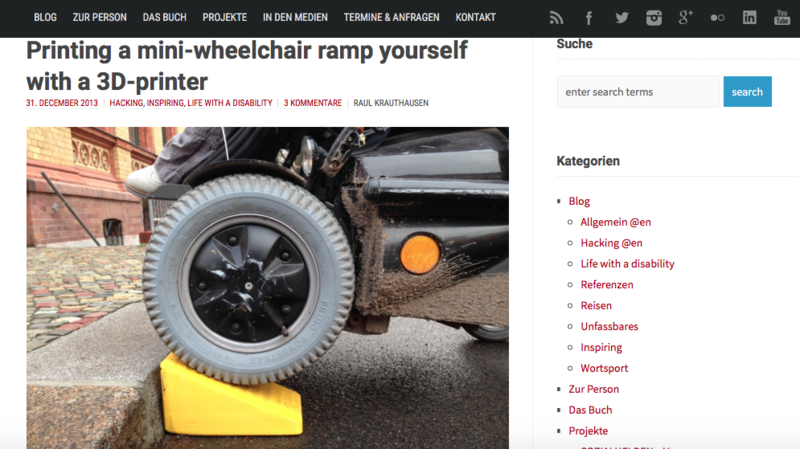 Hacktivist Raul Krauthausen’s 3D printing of a wheelchair access ramp is an example of social production – using Creative Commons Licensing to share files. When presented with such bleakly different futures from the world we live in now, there is a danger of becoming weighed-down with pessimism and not appreciate the amazing opportunities our digital cities offer us now. We don’t know what the future holds and maybe initiatives such as iSPEX, which allow individuals to monitor their own personal and individual damage to the atmosphere, or playful, interactive games such as Play the City that changes the familiar cityscape to one of active exploring, discovery and learning will allow us to create a future we’ve not even imagined. Elliot, A & Urry, J. (2010) Mobile Lives, pp138. Routledge. Hemment, D. & Townsend, A. (2013). Smart Citizens: FutureEverything [online] Available at: http://futureeverything.org/publications/smart-citizens [Accessed 14 May 2016]. iSPEX (2012). Measure Aerosols With Your Smartphone. Available at: http://ispex.nl/en/ispex/ [Accessed 14 May 2016]. Krauthausen, R. (2013). Available at: http://raul.de/inspiring/printing-a-mini-wheelchair-ramp-yourself-with-a-3d-printer/?lang=en / [Accessed 14 May 2016]. Play the City (2016) Available at: www.playthecity.it [Accessed: 14 May 2016]. Unicef. (2012). An Urban World. 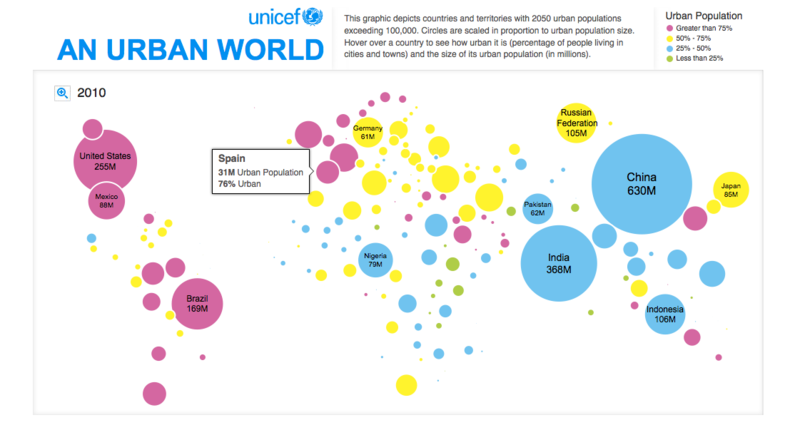 Available at: http://www.unicef.org/sowc2012/urbanmap/?lan=en [accessed 1 May 2016]. We are cyborgs! From the earliest tools to enhance our bodily function to the body extensions that transport us in space and time into cyberspace. 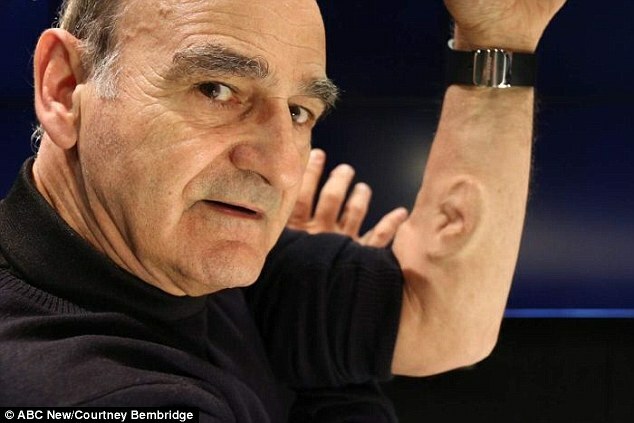 What performance artist Stelarc envisioned with his third ear, Ear on Arm – an ear that hears, grown on his arm, connected to other places through the Internet – is now no longer a reality of the arts but actualized through 3D printing. With the right blend of biology and materials science, the 3D printed bionic ear brings together electronic matter and biological tissue. A reality being worked on an Australian girl born bereft of one ear. What Lipson and Kurman (2013) refer to as “modest manufacturing miracles” (p.7) are the 3D printed objects that range from “3D print living tissue” to “nutritionally calibrated food” complete with “electronic components” (p.7). This technology gives humans full control of the physical world as a digital ‘design file’ makes manifest its physical object. The boundaries between the virtual and the physical are once again blurred and questioned as 3D printing brings “the virtual world into close alignment with the physical one” (Lipson and Kurman, 2013, p.13). One can almost imagine a digital animated character leaving the screen and being embodied in physical space functioning as it would in its animated capacity. Physical things are composed of shape, material and behavior. 3D printing will allow control over all three abovementioned components. A voxel, “the physical equivalent of a pixel” (Lipson and Kurman, 2013, p.16) is to the physical object world what the latter is to the digital image. Physical objects made up of voxels “would create intelligent, three-dimensional active physical objects”(Lipson and Kurman, 2013, p.17) thus transferring data from the computer into physical matter. Telepresence is a reality in our living in the digital city as we are transported in space and time and constantly shift between the physical and the virtual world through our digital body mobile extensions. Taking this a step further, 3D printing will allow us to “fax things from place to place” as “physical objects smoothly transition from bits to atoms and atoms to bits” (Lipson and Kurman, 2013, p.17). Euronews. Hi-tech. Girl to be fitted with 3D printed ear in Australia [online] Available at: <http://www.euronews.com/2016/05/05/girl-to-be-fitted-with-3d-printed-ear-in-australia/> [Accessed 7 May 2016]. Lipson, H. & Kurman, M., 2013. Fabricated. The New World of 3D Printing [pdf] Available at: <https://studentcentral.brighton.ac.uk/bbcswebdav/pid-2623395-dt-content-rid-5018049_1/courses/MJM20_2015/01.pdf> [Accessed 7 May 2016]. MIT Technology Review. Cyborg Parts [online] Available at: <https://www.technologyreview.com/s/517991/cyborg-parts/> [Accessed 7 May 2016]. 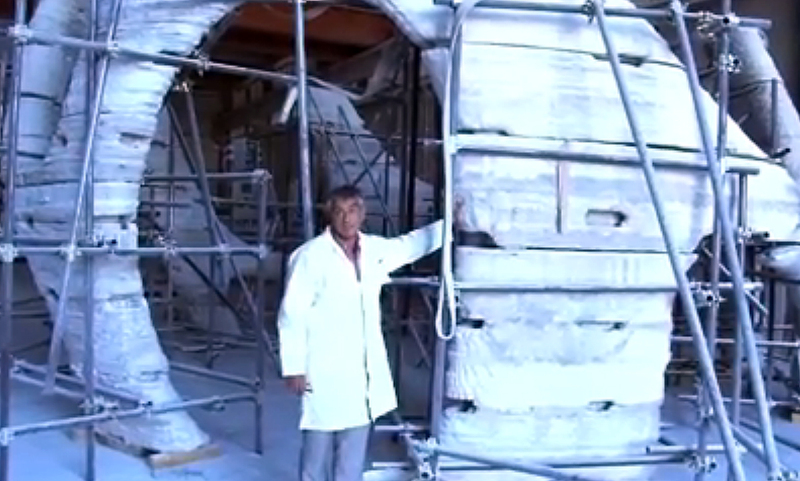 Stelarc. Ear on Arm [online] Available at: <http://stelarc.org/?catID=20242> [Accessed 7 May 2016]. Stelarc and Sondergaard, M., Conversations with Stelarc’s Internet Ear [pdf] Available at: <http://stelarc.org/media/pdf/THE-BIOTOPIAN-EAR.pdf> [Accessed 7 May 2016]. When I graduated from high school and was perusing my options for universities with no idea of what I wanted to do with my life, I stumbled upon a 3D printer for the first time in my life. It was brand new, just acquired by the IADE (a private design-only university in Lisbon) for their Industrial Design students. I watched in awe as it poured down thin strings of plastic, slowly constructing the hollow structure of a perfect cube. In a 2013 episode of Gadget Man, titled “Home Improvement”, Richard Aoyade hosts a tea party using only cups and cutlery produced with a commercial 3D printer. Tools such as the 3Doodler, a pen that allows you to ‘draw in 3D’, cost less than £100. But as Lipson and Kurman repeatedly point out in Fabricated: the new world of 3D printing, this growing technology is neither purely recreational nor technical. In the particular case of fashion design illustrated in chapter 10, the environmental factor is very clear when a student declares he decided to choose 3D printing as his method for producing his shoe design after he had seen how much of a negative impact contemporary factories have on the environment, particularly in terms of releasing chemicals. 3D printing will not only have a serious impact on designing and producing consumer products and manufacturing parts, but also architecture as a whole: certain structures, such as the naturally-occurring three-dimensional “lattice” structure Lipson and Kurman refer to, can only be produced realistically via computer algorithms. 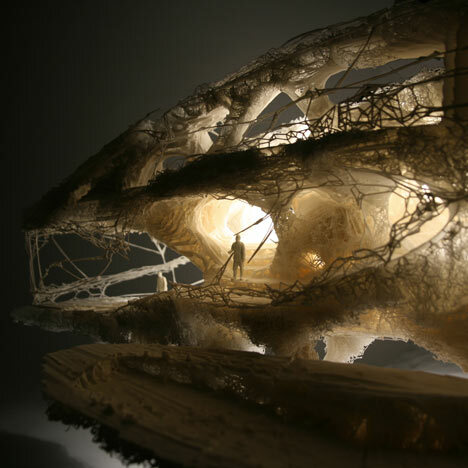 Enrico Dini produced ‘parts of houses’ and architectural structures via 3D printing, but how could this impact our lives as city-dwellers, especially the housing industry and increasing housing crisis in big cities such as London? Could printing our own houses actually make homes cheaper, depending on how popularised 3D printing becomes in the next decade? We may not be there just yet when it comes to creating entirely new organs ready for transplant, but we’re certainly on the right track; just last year, a two-year-old girl born with a heart defect survived a difficult operation thanks to a 3D printer. It produced a perfect model of her heart that allowed surgeons to carefully plan out the procedure. Our grandchildren may one day owe their lives to printers. The perceived difference between technology and nature has now been challenged by the development of 3D printing, as we are now witnessing that there is a ‘growing bond between nature and mathematical formulas’ (Lipson, H. & Kurman, M, 2013 pg 177). Even our homes and building structures are being influenced by this. Using the mathematical algorithms to replicate nature at first seems incongruous.The design imperfection within nature and how ‘random patterns are stronger than regular patterns’ (Lipson, H. & Kurman, M. 2013 pg 268) seems to work against the mathematical calculations that are utilised within 3D printing, something that has developed from natural designs becoming the basis of new structures. 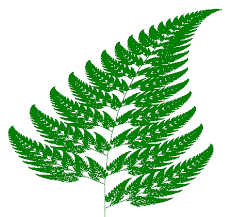 Lipton and Kurman talk about the ancient mathematical concept called the Fibonacci series which is found everywhere in nature – ‘tree branches, ferns, artichoke flowers and ocean kelp’ (Lipson, H. & Kurman, M. 2013 pg 176) – the Fibonacci series proceeds in a systematic manner where each number is the sum of the previous two, something that can be calculated relatively easily by a computer. Lipman and Kupman discuss this in their final chapter of ‘Fabricated’, that the future of 3D printing is developing into a fusion of different properties to create new ones, substances that have become much stronger than the original ones that were used. Enrico Dini an architect and innovator in the 3D building of houses was a pioneer within this area, building his first 3D house in 2010 out of sand and a binding agent. In the future it seems we may continue to take and replicate more from nature, creating new man made structures. Maybe the houses we will develop in this way will not only be created from new nature inspired algorithms but also may adopt more organic, natural design. “Like the magic wand of childhood fairy tales, 3d printing offers us the promise of control over the physical world” (Lipson and Kurman, 2013, p.11). The huge possibilities and range of creation offered by the 3D printers is power and like always, it needs some boundaries. For instance, a 3D pen with an accessible price cannot harm anyone whereas the chance of creating weapons could be quite dramatic. On the brightside, the 3D printing ability of easily shaping any kind of curves and doing it rapidly are the keys of the success of the Invisalign braces. Optical scan data from a computer allow creating 3D invisible braces customizable for every patient. The personal structure of someone’s teeth is scanned and customized clear aligners are physically created. 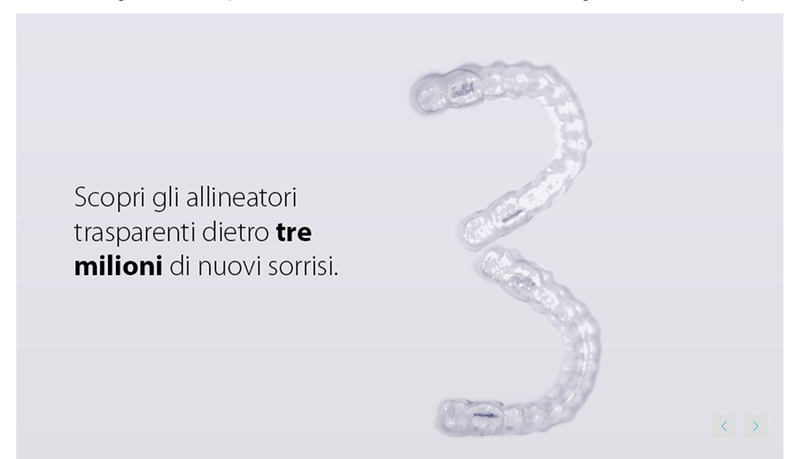 From the Italian website: “Discover the invisible aligners behind 3 millions new smiles”. since the braces need to adapt to the moving dental area, you need new reshaped braces every two weeks or so, hence the 3D printer quality of zero lead time is invaluable. To be even more connected throughout the whole process the UK site http://www.invisalign.co.uk/en/Pages/Home.aspx advertises an app, which does not exist for the Italian market. The success of 3D printing in the Invisalign project shows how many useful objects it can be made. Utilising these machines for medicine, when standard tools have limitations, is absolutely mandatory. And the more it becomes popular, the more the price decreases, as for the 3D pen. The downside is that the great range of possible creations can be used to developed illegal traffics of weapons, drugs and others. “3D printers are the ideal tool for tech-savvy criminals. […] 3D printers are small and portable. They can make one custom object after another, in stealth, no factories, coordination or unnecessary exposure needed” (Lipson and Kurman, 2013, p.220). And it is not difficult to imagine. Knowledge and resources increase the crime trade as any other market. Lipson, H. & Kurman, M. (2013). Fabricated: The New World of 3D Printing, John Wiley. Invisalign IT. Available at: www.invisalign.it [Accessed 9 May 2016]. The easiest way to understand 3D printing – a printer that follows a computer’s instructions to layer raw materials thereby creating a three-dimensional object – is to think of it as a manufacturing rather than printing process. This is an additive process that allows the creation of complex designs that are impossible with traditional processes and while the technology is in its early stages, the possibilities seem almost limitless (Lipson, H. & Kurman, M. 2013 p65). The prospect of being able to mix materials brings with it the possibility of creating something with properties outside the range of the base materials; even properties that don’t exist in nature creating what is known as an auxetic material. (Lipson, H. & Kurman, M. 2013 p266-268). The creation of materials that don’t exist in nature is just one of the possibilities offered by 3D printing; it also enables the creation of shapes and structures that only exist in nature, leading to exciting projects such as architect Enrico Dini who, through printing a house in stone wants “to manufacture something with a behaviour we don’t have” (The Man Who Prints Houses 2011). It is only through experimenting and projects such as Dini’s that the fullest potential of 3D printing can be realised. However, this is where innovation and economics clash with manufacturers of 3D printers providing their own proprietary materials and experimenting with anything else invalidating the warranty (Lipson, H. & Kurman, M. 2013 p82). The alternative is for researchers to create their own 3D printers, such as the University of Bath’s “self- replicating rapid prototyper” or RepRap, a printer that can reproduce most of its own parts as well as goods that may lead to the emergence of home manufacturing (Söderberg, J. & Daoud, A. 2012 p66). But this then leads to a conflict with intellectual property law, much as in the 90s and the advent of files-sharing music and films, there are already the first signs of designers and manufacturers lobbying for legal protection to impose restrictions on 3D printing. (Söderberg, J. & Daoud, A. 2012 p74). Lipson, H. & Kurman, M. (2013). Fabricated: The New World of 3D Printing, p65, p82 and pp 266-268. John Wiley. RepRap. University of Bath. Available at: http://reprap.org/ [accessed 8 May 2016]. Söderberg, J. & Daoud, A. (2012). Atoms Want to Be Free Too! Expanding the Critique of Intellectual Property to Physical Goods, p66 and p74. Triple-C 10 (1).